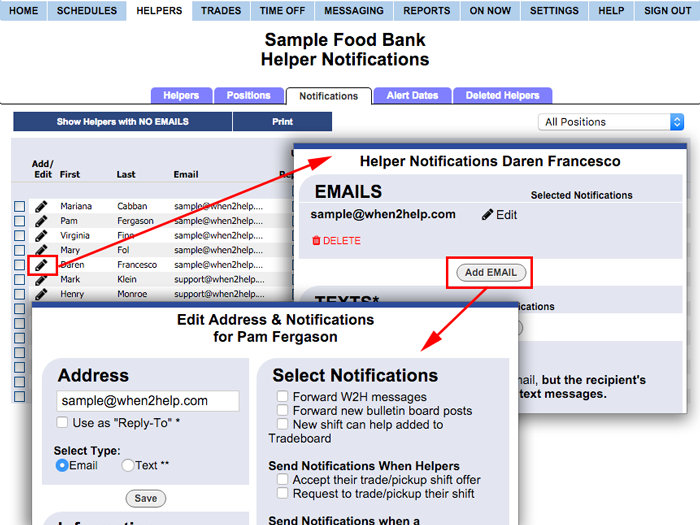 When you first add a Helper, you can enter an email address for them, or you can edit their details and add email addresses and even set notification options for them if you like. 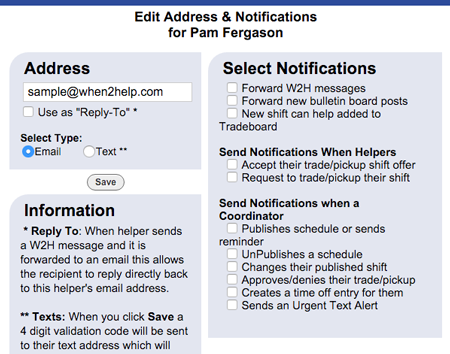 If the helper has a cell phone that is set up to receive text messages, you can choose "Text Message Email Address". The Helper will need to know their cell phone carrier's domain for sending these messages - it normally looks like an email address with the phone number followed by @yourcellphonecarrierdomain.com. Ex. 7145555555@vtext.com. You can click the link above the Save button in that window to see a list of common cell phone carrier addresses. If you enter a text message address, those notifications will be 150 characters or less. 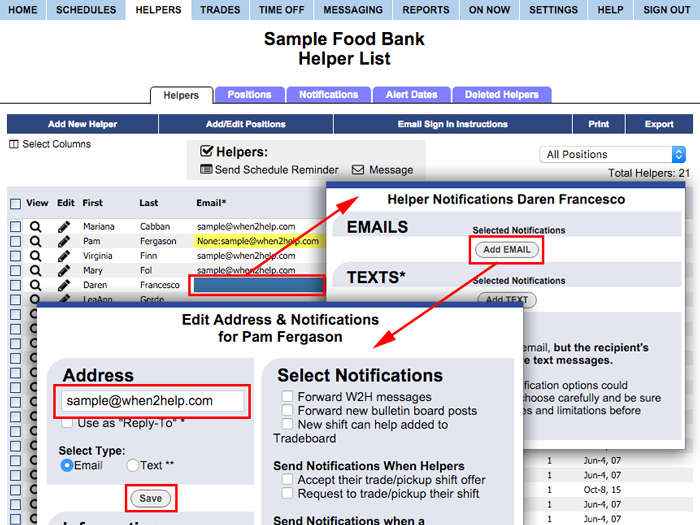 When you click Save, a text message is sent which includes a validation code which must be entered into the Helper's Info>Edit Email Addresses window page before text messages will be automatically sent out for the notification options chosen.